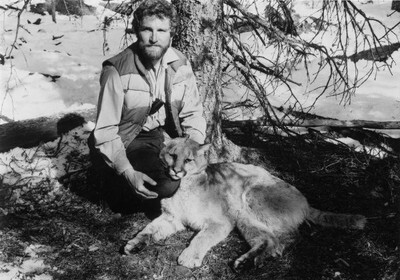 On June 6, 1986, Orval Pall, a young wildlife biologist from Calgary and his pilot Ken Wolff died instantly in a plane crash in Kananaskis. Orval was doing field research, radio-tracking bighorn sheep in the Kananaskis Valley. Within hours of it becoming clear that his plane was missing, volunteer searchers began combing the Kananaskis Valley. Three of these searchers in a small Cessna 185 plane perished when they crashed into the northeast face of Mount Lougheed. They were Bruce Pratt, Rod Harradence and Hayden Evans. During the following days, hundreds of volunteer searchers including Park Rangers, Provincial Government, RCMP and Military personnel, family and friends searched for Orval and Ken. They were hampered by poor weather, rough terrain and an uncertain flight plan. On June 14, the tenth day of the search, five Civil Air Rescues Emergency Service members and three military search and rescue men were part of the search and rescue team. They were killed instantly when the Canadian Armed Forces twin engine Otter in which they were flying crashed and burned on Cox Hill starting a forest fire. Firefighters were required to clear the way to the wreckage. The five Calgary civilians killed were David Hall, Jerome Schindler, Charles Masur, Carl Grant and Patricia McLean. The three military personnel, all from Edmonton were Captain Donald Wayne Plumtree, Captain Edward M. Kates (Ted) and Sergeant Brian Burkitt. In spite of these unspeakably tragic circumstances volunteers continued to search in the air and on the ground. The wreck of Orval and Ken’s plane was found on June 18 at the 7000-foot level of a steep mountain face on the south end of Mt. Kidd. On September 28, 1986, the Government of Alberta held a dedication service to name three lakes in the Kananaskis Valley as Memorial Lakes in honor of the 13 people who died in that summer’s air crashes. Fifteen years later, the memories of that tragic time and the courage of the individuals who lost their lives searching remain vivid. They remind us of the risks taken to explore, research and investigate our wilderness and to perform search and rescue duties. Orval’s many friends, colleagues and family struggled to resolve their grief and find some way to honor the man whose life was inextricably bound to wild rivers, wilderness and wildlife. His concern for all things wild was deep and abiding. A steward of the land Orval really cared for and understood the earth, living whenever possible from the bounty of its forests, streams and gardens. Many people talk about conservation; Orval honestly lived it in every way. It was Orval’s wish that in the event of his death, the Alberta Wilderness Association would be a beneficiary. In June of 1986, the same year as his death, friends of Orval Pall established the Orval Pall Memorial Fund for wilderness to provide a tangible way to perpetuate the work and ideals of this man. The Alberta Wilderness Association was appointed to develop and administer the fund that would become a wilderness legacy. Throughout the years, benefits and contributions to the fund by family and friends have allowed the fund to grow. As time went on, other families seeking to remember their own loved ones found solace and strength in devoting resources to the endowment fund established to support the protection of wilderness in Alberta. In 2001, the 15th anniversary year, the Alberta Wilderness Association took the fund to a new level and established the Alberta Wilderness Trust with the Calgary Foundation. Accessing the services of the Calgary Foundation was invaluable as directors from the Alberta Wilderness Association sought advice and expert opinion in the ongoing administration of the memorial fund. The experts and resources provided by the Calgary Foundation allowed for the transition of the memorial fund administered by the association and its directors to the Calgary Foundation Alberta Wilderness Trust. 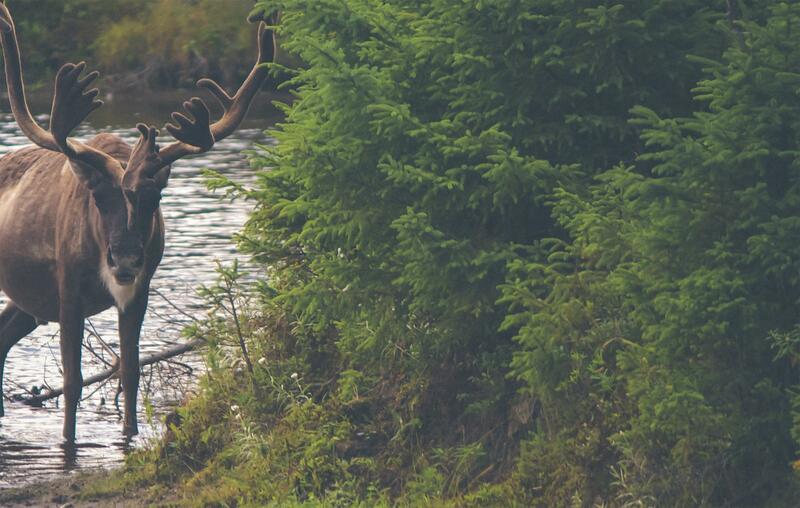 The Alberta Wilderness Trust will support wilderness programmes and research that contribute to the protection, understanding and appreciation of wilderness, wild rivers and wildlife. Alberta has some of the most pristine wilderness and alluring natural areas in the world. The preservation of our wilderness cannot be taken for granted; we must take an active role. The Alberta Wilderness Association is dedicated to protecting wilderness for our future. We invite all those interested in leaving a wilderness legacy to be part of the Alberta Wilderness Trust to help make that dream come true. A lifetime donation or a bequest may be made to the Alberta Wilderness and Wildlife Trust Endowment at the Calgary Foundation to support the long-term sustainability of AWA. The fund was initiated in 1986 as a memorial tribute to Orval Pall. All such contributions are invested in perpetuity with the proceeds from the investments being used to support AWA. Throughout the years the fund has slowly been added to with small gifts from friends of AWA, family members remembering loved ones and others who believe in the need for this legacy. In 2012 the fund balance is just over $20,000. All donors receive charitable tax receipts.